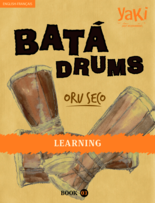 You will discover through this E-book, multiple Greeting-Rhythms of the first seven divinities (Orishas) in the Afro-Cuban Hall of Fame of the Oru Seco (Oru del Igbodu): Elegua, Ogun, Ochosi, Obaloke, Inle, Babalu Aye 1, Babalu Aye 2. 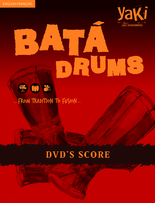 E-book in two languages English-French with video, scores and audios. 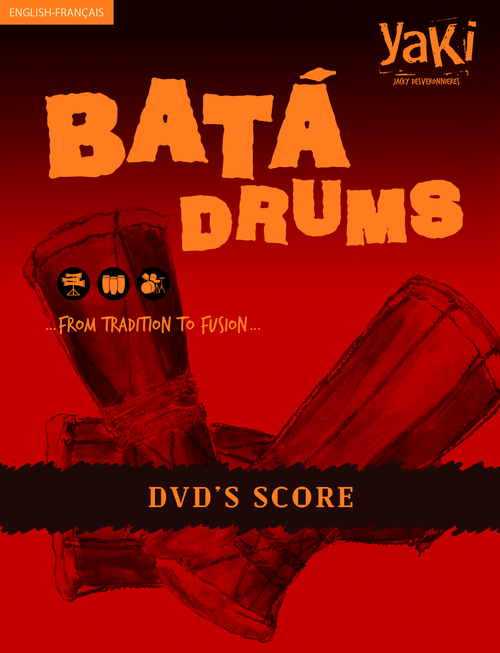 This book 02 is the sequel of book 01 which was studied multiple Greeting-Rhythms for the first seven divinities (Orishas) in the Afro-Cuban Hall of Fame. You will discover multiple Greeting-rhythms for the next eight divinities (Orishas) in the Afro-Cuban Hall of Fame of the Oru seco (Oru del Igbodu): Osaïn, Osun, Obatala, Dada, Oggue, Aggayu, Orula, Orisha Oko. This book n° 3 is the sequel of books 01 & 02 which were studied multiple Greeting-Rhythms for the first fifteen divinities (Orishas) in the Afro-Cuban Hall of Fame. 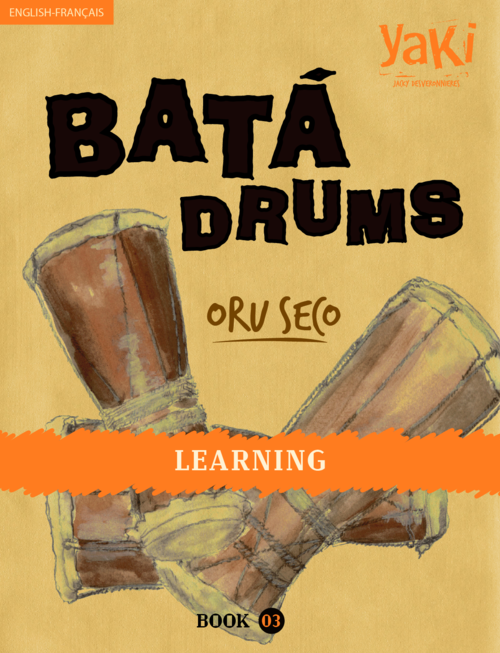 You will discover multiple Greeting-Rhythms for the last eight divinities (Orishas) in the Afro-Cuban Hall of Fame of the Oru Seco (Oru del Igbodu): Ibedyi, Chango, Yeggua, Oya, Ochun, Yemaya, Obba, Oddudua. You will discover through this E-book n° 04, transpositions for Greeting-Rhythms using two drums for the first seven divinities (Orishas) in the Afro-Cuban Hall of Fame of the Oru Seco (Oru del Igbodu): Elegua, Ogun, Ochosi, Obaloke, Inle, Babalu Aye 1, Babalu Aye 2. This book 05 is the sequel of book 04. 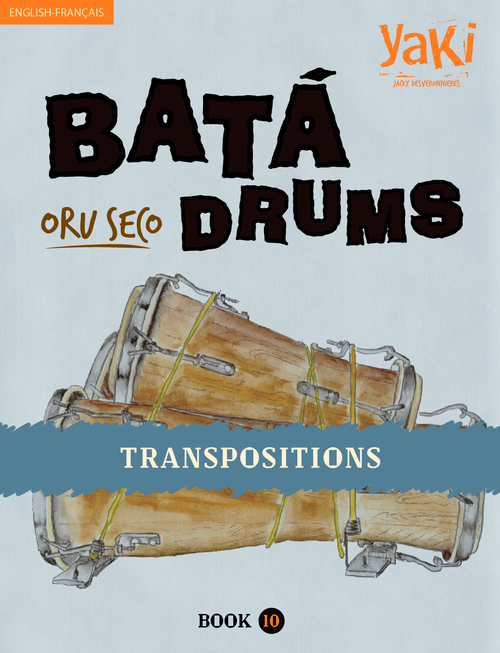 You will discover multiple transpositions for Greeting-Rhythms using two drums for the next eight divinities (Orishas) in the Afro-Cuban Hall of Fame of the Oru seco (Oru del Igbodu): Osaïn, Osun, Obatala, Dada, Oggue, Aggayu, Orula, Orisha Oko. This book n° 06 is the sequel to book n° 05. 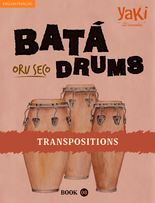 You will discover multiple transpositions for Greeting-Rhythms using two drums for the last eight divinities (Orishas) in the Afro-Cuban Hall of Fame of the Oru Seco (Oru del Igbodu): Ibedyi, Chango, Yeggua, Oya, Ochun, Yemaya, Obba, Oddudua. 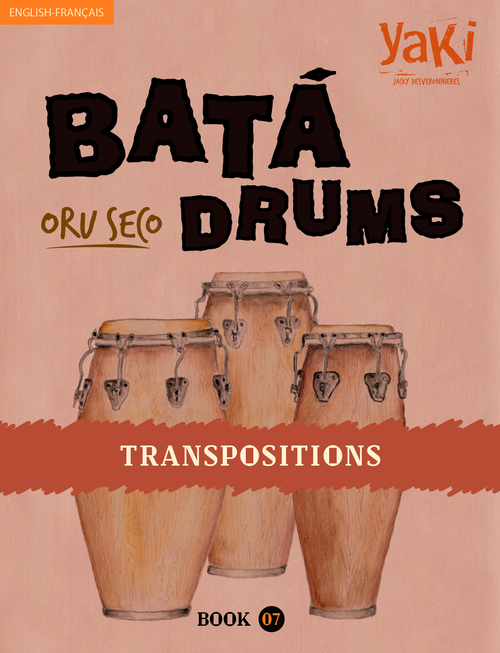 You will discover through this E-book n° 07, transpositions for Bata drums Greeting-Rhythms using three congas for the first seven divinities (Orishas) in the Afro-Cuban Hall of Fame of the Oru Seco (Oru del Igbodu): Elegua, Ogun, Ochosi, Obaloke, Inle, Babalu Aye 1, Babalu Aye 2. This book n° 08 is the sequel to book n° 07. 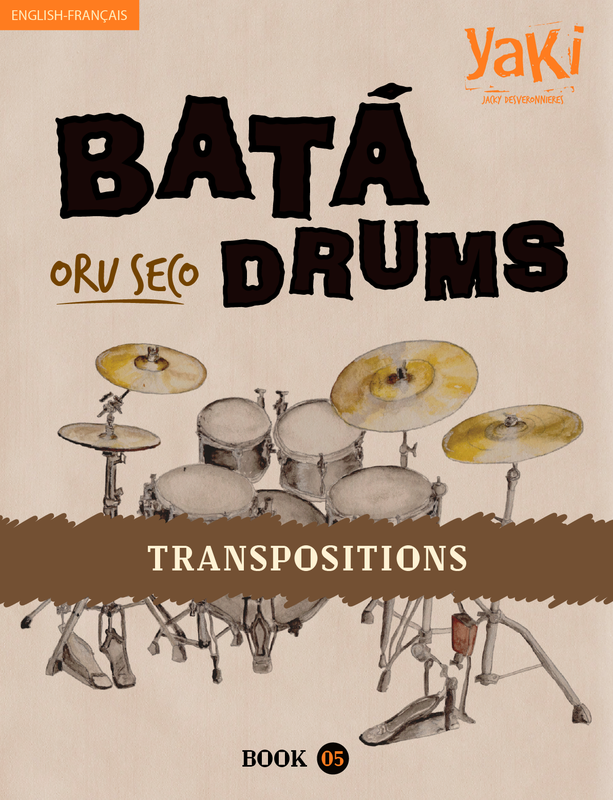 You will discover transpositions for Bata drums Greeting-Rhythms using three congas for the next eight divinities (Orishas) in the Afro-Cuban Hall of Fame of the Oru Seco (Oru del Igbodu): Osaïn, Osun, Obatala, Dada, Oggue, Aggayu, Orula, Orisha Oko. This book n° 09 is the sequel to book n° 08. You will discover transpositions for Bata drums Greeting-Rhythms using three congas for the last eight divinities (Orishas) in the Afro-Cuban Hall of Fame of the Oru Seco (Oru del Igbodu): Ibedyi, Chango, Yeggua, Oya, Ochun, Yemaya, Obba, Oddudua. E-book in two languages English-French with scores and audios. You will discover through this E-book n° 10, transpositions for Bata drum Greeting-Rhythms using one Bata drum player or three players for the first seven divinities (Orishas) in the Afro-Cuban Hall of Fame of the Oru Seco (Oru del Igbodu): Elegua, Ogun, Ochosi, Obaloke, Inle, Babalu Aye 1, Babalu Aye 2. This book n° 11 is the sequel to book n° 10. 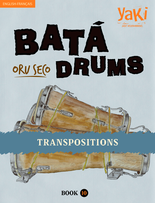 You will discover transpositions for Bata drum Greeting-Rhythms using one Bata drum player or three players for the next eight divinities (Orishas) in the Afro-Cuban Hall of Fame of the Oru Seco (Oru del Igbodu) : Osaïn, Osun, Obatala, Dada, Oggue, Aggayu, Orula, Orisha Oko. This book n° 12 is the sequel to book n° 11. 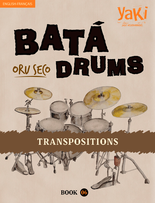 You will discover transpositions for Bata drum Greeting-Rhythms using one Bata drum player or three players for the last eight divinities (Orishas) in the Afro-Cuban Hall of Fame of the Oru Seco (Oru del Igbodu). Ibedyi, Chango, Yeggua, Oya, Ochun, Yemaya, Obba, Oddudua. 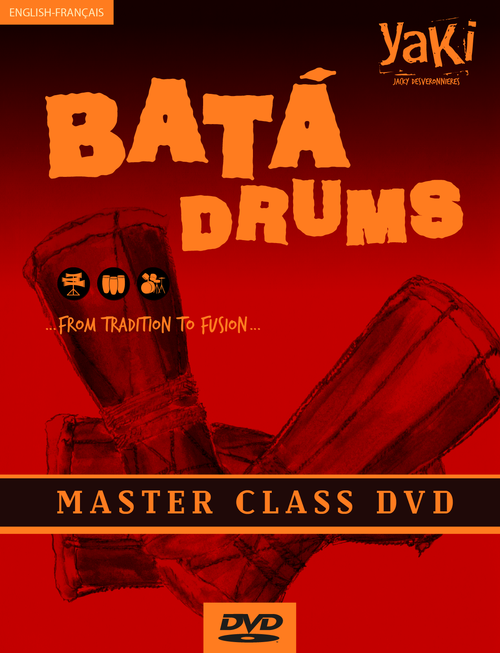 You will discover through this E-book, musical scores of my Master Class DVD “Bata drums … from tradition to fusion”. You will find through this Master Class DVD, the presentation and depth details of the Elegua divinity of the Oru Seco as well as their transpositions and possible extension into modern music (transpositions with two drums, three congas and one drummer using Bata drums). Scores of the Masterclass DVD can be downloaded and available on itunes store.